Dow Theory has been around for almost 100 years, yet even in today's volatile and technology-driven markets, the basic components of Dow Theory still remain valid. Developed by Charles Dow, refined by William Hamilton and articulated by Robert Rhea, Dow Theory addresses not only technical analysis and price action, but also market philosophy. Many of the ideas and comments put forth by Dow and Hamilton became axioms of Wall Street. While there are those who may think that the market is different now, a read through Rhea's book, The Dow Theory, will attest that the stock market behaves the same today as it did almost 100 years ago. At a high level, Dow Theory describes market trends and how they typically behave. At a more granular level, it provides signals that can be used to identify and subsequently trade with the primary market trend. The theory centers around identifying the trend for the Dow Jones Rail (now Transportation) Average and the Dow Jones Industrial Average, and using volume to confirm those trends. If both Dow Jones averages are trending in the same direction, then the entire market can be said to be trending in that direction as well. Investors can use these signals to identify the primary market trend, and then trade with that trend. Charles Dow developed Dow Theory from his analysis of market price action in the late 19th century. Until his death in 1902, Dow was part-owner as well as editor of The Wall Street Journal. Although he never wrote a book on these theories, he did write several editorials that reflected his views on speculation and the role of the rail and industrial averages. Even though Charles Dow is credited with developing Dow Theory, it was S.A. Nelson and William Hamilton who later refined the theory into what it is today. Nelson wrote The ABC of Stock Speculation and was the first to actually use the term “Dow Theory.” Hamilton further refined the theory through a series of articles in The Wall Street Journal from 1902 to 1929. Hamilton also wrote The Stock Market Barometer in 1922, which sought to explain the theory in detail. In 1932, Robert Rhea further refined the analysis of Dow and Hamilton in his book, The Dow Theory. Rhea read, studied and deciphered some 252 editorials through which Dow (1900-1902) and Hamilton (1902-1929) conveyed their thoughts on the market. In his work, Rhea also referred to Hamilton's The Stock Market Barometer. Our presentation of Dow Theory in this article is based on Rhea's book, The Dow Theory, which organized Dow's and Hamilton's writings into a set of assumptions and theorems. Where possible, we have also attempted to link some of the realities of today's market with Dow Theory as explained by Dow, Hamilton and Rhea. Before one can begin to accept Dow Theory, there are a number of assumptions that must be accepted. Rhea stated that for the successful application of Dow Theory, these assumptions must be accepted without reservation. The first assumption is that the manipulation of the primary trend is not possible. When large amounts of money are at stake, the temptation to manipulate is bound to be present. Hamilton did not argue against the possibility that speculators, specialists or anyone else involved in the markets could manipulate the prices. He qualified his assumption by asserting that it was not possible to manipulate the primary trend. Intraday, day-to-day and possibly even secondary movements could be prone to manipulation. These short movements, from a few hours to a few weeks, could be subject to manipulation by large institutions, speculators, breaking news or rumors. Today, Hamilton would likely add message boards and day-traders to this list. PairGain Technology rose sharply due to a hoax posted on a fake Bloomberg site. However, once the hoax was revealed, the stock immediately fell back and returned to its primary trend. Books-A-Million rose from 3 to 47 after announcing an improved web site. Three weeks later, the stock settled around 10 and drifted lower from there. In 1979/80, there was an attempt to manipulate the price of silver by the Hunt brothers. Silver skyrocketed to over 50$ per ounce, only to come back down to earth and resume its long bear market after the plot to corner the market was unveiled. While these shares were manipulated over the short term, the long-term trends prevailed after about a month. Hamilton also pointed out that even if individual shares were being manipulated, it would be virtually impossible to manipulate the market as a whole. The market was simply too big for this to occur. The second assumption is that the market reflects all available information. Everything there is to know is already reflected in the markets through the price. Prices represent the sum total of all the hopes, fears and expectations of all participants. Interest rate movements, earnings expectations, revenue projections, presidential elections, product initiatives and all else are already priced into the market. The unexpected will occur, but usually this will only affect the short-term trend. The primary trend will remain unaffected. The chart below of Coca-Cola (KO) is a relatively recent example of the primary trend remaining intact. The downtrend for Coca-Cola began with the sharp fall from above 90. The stock rallied with the market in October and November 1998, but by December started to decline again. According to Dow Theory, the October/November rally would be called a secondary move (against the primary trend). It is likely that the stock was caught up in the general market advance at the time. However, when the major indices were hitting new highs in December, Coca-Cola was starting to flounder and resume its primary trend. Hamilton noted that sometimes the market would react negatively to good news. For Hamilton, the reasoning was simple: the market looks ahead. By the time the news hits the street, it is already reflected in the price. This explains the old Wall Street axiom, “buy the rumor, sell the news”. As the rumor begins to filter down, buyers step in and bid the price up. By the time the news hits, the price has been bid up to fully reflect the news. Yahoo! (YHOO) and the run-up to earnings is a classic example. For the first three quarters of 1999, Yahoo! had been bid up leading right up to the earnings report. Even though earnings exceeded expectations each time, the stock fell by about 20% during this time. The third assumption is that the theory is not infallible. Hamilton and Dow readily admit that Dow Theory is not a sure-fire means of beating the market. It is looked upon as a set of guidelines and principles to assist investors and traders with their own study of the market. Dow Theory provides a mechanism for investors to use that will help remove some of the emotion. Hamilton warns that investors should not be influenced by their own wishes. When analyzing the market, make sure you are objective and see what is there, not what you want to see. If an investor is long, he or she may want to see only the bullish signs and ignore any bearish signals. Conversely, if an investor is out of the market or short, he or she may be apt to focus on the negative aspects of the price action and ignore any bullish developments. Dow Theory provides a mechanism to help make decisions less ambiguous. The methods for identifying the primary trend are clear-cut and not open to interpretation. Even though the theory is not meant for short-term trading, it can still add value for traders. No matter what your timeframe, it always helps to be able to identify the primary trend. According to Hamilton (writing in the early part of the 20th century), those who successfully applied Dow Theory rarely traded more than four or five times a year. Remember that intraday, day-to-day and possibly even secondary movements can be prone to manipulation, but the primary trend is immune from manipulation. Hamilton and Dow sought a means to filter out the noise associated with daily fluctuations. They were not worried about a couple of points or getting the exact top or bottom; their main concern was catching the large moves. Both Hamilton and Dow recommended close study of the markets on a daily basis, but they also sought to minimize the effects of random movements and concentrate on the primary trend. It is easy to get caught up in the madness of the moment and forget the primary trend. In our example above, the primary trend for Coca-Cola remained bearish after the October low. Even though there were some sharp advances, the stock never forged a higher high. Rhea distilled Dow's and Hamilton's writings into a number of discrete theorems. Some are more broadly-focused, describing general market behavior, while others address specific signals that can be used to identify and confirm market trends. 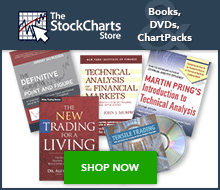 This section covers some of the broader theorems describing the types and behaviors of market trends. Dow and Hamilton identified three types of price movements for the Dow Jones Industrial and Rail averages: primary movements, secondary movements and daily fluctuations. Primary moves, which can last from a few months to many years, represent the broad underlying trend of the market. Secondary (or reaction) movements, which can last from a few weeks to a few months, move counter to the primary trend. Daily fluctuations can move with or against the primary trend and last from a few hours to a few days, but usually not more than a week. Primary movements represent the broad underlying trend of the market and can last from a few months to many years. These movements are typically referred to as bull and bear markets. Once the primary trend has been identified, it will remain in effect until proved otherwise. (We will address the methods for identifying the primary trend later in this article.) Hamilton believed that the length and the duration of the trend were largely indeterminable. Hamilton did study the averages and came up with some general guidelines for length and duration, but warned against attempting to apply these as rules for forecasting. Many traders and investors get hung up on price and time targets. The reality of the situation is that nobody knows where and when the primary trend will end. The objective of Dow Theory is to utilize what we do know, not to haphazardly guess about what we don't know. Through a set of guidelines, Dow Theory enables investors to identify the primary trend and invest accordingly. Trying to predict the length and the duration of the trend is an exercise in futility. Hamilton and Dow were mainly interested in catching the big moves of the primary trend. Success, according to Hamilton and Dow, is measured by the ability to identify the primary trend and stay with it. Secondary movements run counter to the primary trend and are reactionary in nature. In a bull market, a secondary move is considered a correction. In a bear market, secondary moves are sometimes called reaction rallies. Earlier in this article, a chart of Coca-Cola was used to illustrate reaction rallies (or secondary movements) within the confines of a primary bear trend. Below is a chart illustrating a correction within the confines of a primary bull trend. In Sept-96, the DJIA ($INDU) recorded a new high, thereby establishing the primary trend as bullish. From trough to peak, the primary advance rose 1988 points. During the advance from Sept-96 to Mar-97, the DJIA never declined for more than two consecutive weeks. By the end of March, after three consecutive weeks of decline, it became apparent that this move was not in the category of daily fluctuations and could be considered a secondary move. Hamilton noted some characteristics that were common to many secondary moves in both bull and bear markets. These characteristics should not be construed as rules, but rather as loose guidelines to be used in conjunction with other analysis techniques. The first three characteristics have been applied to the example above. Based on historical observation, Hamilton estimated that secondary movements retrace 1/3 to 2/3 of the primary move, with 50% being the typical amount. In actuality, the secondary move in early 1997 retraced about 42% of the primary move. (7158 - 5170 = 1988; 7158 - 6316 = 842, 842/1988 = 42.35%). Hamilton also noted that secondary moves tend to be faster and sharper than the preceding primary move. Just with a visual comparison, we can see that the secondary move was sharper than the preceding primary advance. The primary move advanced 38% (1988/5170 = 38%) and lasted from Jul-96 to Mar-97, about 8 months. The secondary move witnessed a correction of 11.7% (842/7158 = 11.7%) and lasted a mere five weeks. At the end of the secondary move, there is usually a dull period just before the turnaround. This period is usually marked by little price movement, a decline in volume or a combination of the two. Below is a daily chart focusing on the Apr-97 low for the secondary move outlined above. April 7 through 10 marked the dull point (red line on volume). There was little price movement and volume was the lowest since the decline began. The DJIA ($INDU) then gapped down on an increase in volume. The down gap was followed by a reversal day, after which the DJIA proceeded with an gap up and broke out to a reaction high on increasing volume (green line on volume). The new reaction high, combined with the increase in volume, indicated that the secondary move was over and the primary trend had resumed. Lows are sometimes accompanied by a high-volume washout day. The September/October lows in 1998 were accompanied by record volume levels. At the time, the low on Sept-1 witnessed the highest volume ever recorded and the Oct-8 low recorded the second highest volume ever. Although these high-volume lows were not a signal in and of themselves, they helped form a pattern that preceded a historical advance. This advance took the DJIA ($INDU) from below 8000 to over 11000 in less than one year. Further confirmation of a change in trend came in the form of a new reaction high with high volume on Oct-15. Note: There is still debate as to whether the crash of 1998 was a bear market or merely a secondary move within the confines of a larger bull market. In hindsight, it would appear to be a secondary move. Even though the DJIA recorded a lower low on August 4 and had lost just over 20% by September 4, the two-month timeframe makes it difficult to justify as a bear market. Hamilton characterized secondary moves as a necessary phenomenon to combat excessive speculation. Corrections and counter moves kept speculators in check and added a healthy dose of guesswork to market movements. Because of their complexity and deceptive nature, secondary movements require extra careful study and analysis. Investors often mistake a secondary move for the beginning of a new primary trend. How far does a secondary move have to go before the primary trend is affected? This issue will be addressed later in this article, when we analyze the various signals based on Dow Theory. Daily fluctuations, while important when viewed as a group, can be dangerous and unreliable individually. Due to the randomness of the movements from day to day, the forecasting value of daily fluctuations is limited at best. At worst, too much emphasis on daily fluctuation will lead to forecasting errors and even losses. Getting too caught up in the movement of one or two days can lead to hasty decisions that are based on emotion. It is vitally important to keep the whole picture in mind when analyzing daily price movements. Think of the pieces of a puzzle. Individually, a few pieces are meaningless, yet at the same time, they are essential to complete the picture. Daily price movements are important, but only when grouped with other days to form a pattern for analysis. Hamilton did not disregard daily fluctuations, quite to the contrary. The study of daily price action can add valuable insight, but only when taken in the context of the larger picture. There is little structure in one, two or even three days' worth of price action. However, when a series of days are combined, a structure will start to emerge and analysis becomes better grounded. Hamilton identified three stages to both primary bull markets and primary bear markets. These stages relate as much to the psychological state of the market as to the movement of prices. A primary bull market is defined as a long sustained advance marked by improving business conditions that elicit increased speculation and demand for stocks. In a primary bull market, there will be secondary movements that run counter to the major trend. Hamilton noted that the first stage of a bull market was largely indistinguishable from the last reaction rally of a bear market. Pessimism, which was excessive at the end of the bear market, still reigns at the beginning of a bull market. It is a period when the public is out of stocks, the news from corporate America is bad and valuations are usually at historic lows. However, it is at this point that the so-called “smart money” begins to accumulate stocks. This is the stage of the market when those with patience see value in owning stocks for the long haul. Stocks are cheap, but nobody seems to want them. Remember how Warren Buffett stated in the summer of 1974 that now was the time to buy stocks and become rich. Everyone thought he was crazy, but he was one of the only ones who had correctly identified the ongoing accumulation stage in the market. In the first stage of a bull market, stocks begin to find a bottom and quietly firm up. When the market starts to rise, there is widespread disbelief that a bull market has begun. After the first leg peaks and starts to head back down, the bears come out proclaiming that the bear market is not over. It is at this stage that careful analysis is warranted to determine if the decline is a secondary movement (a correction of the first leg up). If it is a secondary move, then the low forms above the previous low, a quiet period ensues as the market firms and then an advance begins. When the previous peak is surpassed, the beginning of the second leg and a primary bull will be confirmed. The second stage of a primary bull market is usually the longest, and sees the largest advance in prices. It is a period marked by improving business conditions and increased valuations in stocks. Earnings begin to rise again and confidence starts to mend. This is considered the easiest stage to make money as participation is broad and the trend followers begin to participate. The third stage of a primary bull market is marked by excessive speculation and the appearance of inflationary pressures. (Dow formed these theorems about 100 years ago, but this scenario is certainly familiar.) During the third and final stage, the public is fully involved in the market, valuations are excessive and confidence is extraordinarily high. This is the mirror image to the first stage of the bull market. A Wall Street axiom: When the taxi cab drivers begin to offer tips, the top cannot be far off. A primary bear market is defined as a long sustained decline marked by deteriorating business conditions and subsequent decrease in demand for stocks. Just like with primary bull markets. a primary bear market will have secondary movements that run counter to the major trend. Just as accumulation is the hallmark of the first stage of a primary bull market, distribution marks the beginning of a bear market. As the “smart money” begins to realize that business conditions are not quite as good as once thought, they start to sell stocks. The public is still involved in the market at this stage and become willing buyers. There is little in the headlines to indicate a bear market is at hand and general business conditions remain good. However, stocks begin to lose a bit of their luster and the decline begins to take hold. While the market declines, there is little belief that a bear market has started and most forecasters remain bullish. After a moderate decline, there is a reaction rally (secondary move) that retraces a portion of the decline. Hamilton noted that reaction rallies during bear markets were quite swift and sharp. As with his analysis of secondary moves in general, Hamilton noted that a large percentage of the losses would be recouped in a matter of days or perhaps weeks. This quick and sudden movement would invigorate the bulls to proclaim the bull market alive and well. However, the reaction high of the secondary move would form and be lower than the previous high. After making a lower high, a break below the previous low would confirm that this was the second stage of a bear market. As with the primary bull market, stage two of a primary bear market provides the largest move. This is when the trend has been identified as down and business conditions begin to deteriorate. Earnings estimates are reduced, shortfalls occur, profit margins shrink and revenues fall. As business conditions worsen, the sell-off continues. At the top of a primary bull market, hope springs eternal and excess is the order of the day. By the final stage of a bear market, all hope is lost and stocks are frowned upon. Valuations are low, but the selling continues as participants seek to sell no matter what. The news from corporate America is bad, the economic outlook bleak and not a buyer is to be found. The market will continue to decline until all the bad news is fully priced into stocks. Once stocks fully reflect the worst possible outcome, the cycle begins again. Through the writings of Dow and Hamilton, Rhea identified 4 separate theorems that addressed trend identification, buy and sell signals (using Dow Jones averages), volume and, lastly, trading ranges. The first two were deemed the most important, serving to identify the primary trend as bullish or bearish. The second two theorems, dealing with volume and trading ranges, were not considered instrumental in primary trend identification by Hamilton. Volume was looked upon as a confirming statistic and trading ranges were thought to identify periods of accumulation and distribution. Collectively, they can be used to identify current market movements and inform investments in the market. The first step in identifying the primary trend is to identify the individual trends of the Dow Jones Industrial Average (DJIA), and Dow Jones Transportation Average (DJTA). Hamilton used peak and trough analysis in order to ascertain the identity of the trend. An uptrend is defined by prices that form a series of rising peaks and rising troughs (higher highs and higher lows). In contrast, a downtrend is defined by prices that form a series of declining peaks and declining troughs (lower highs and lower lows). Once the trend has been identified, it is assumed valid until proved otherwise. A downtrend is considered valid until a higher low forms and the ensuing advance off of the higher low surpasses the previous reaction high. Below is a chart of the Dow Jones Transportation Average in 1992. Even though Hamilton and Dow did not make specific references to trend lines, a line has been drawn to emphasize the downward trajectory of the trend. Since the peak in February, a series of lower lows and lower highs formed to make a downtrend. There was a secondary rally in April and May (green circle), but the March high was not surpassed. The DJTA ($TRAN) continued down until the high volume washout day (red arrow). As discussed in this article, high volume days signal that a possible change is looming. Alone, a high volume washout day is not a buy signal, but rather an indication to monitor price action a little closer. After this high volume day, the DJTA dipped again and then moved above 1250, creating a higher low (green arrow). Even after the higher low is in place, it is still too early to call for a change in trend. The change of trend is not confirmed until the previous reaction high is surpassed (blue arrow). Conversely, an uptrend is considered in place until a lower low forms and the ensuing decline exceeds the previous low. Below is a line chart of the closing prices for the DJIA. An uptrend began with the Oct-98 lows and the DJIA formed a series of higher highs and higher lows over the next 11 months. Twice, in Dec-98 (red circle) and Jun-99 (blue arrows), the validity of the uptrend came into question, but the uptrend prevailed until late September. (The Dec-98 price action is addressed below.) There were lower highs in Jun-99, but there were never any lower lows to confirm these lower highs and support held. Any bears that jumped the gun in June were made to sit through two more all-time highs in July and August. The change in trend occurred on September 23 when the June lows were violated. Some traders may have concluded that the trend changed when the late August lows were violated. This may indeed be the case, but it is worth noting that the June lows represented a more convincing support area. Keep in mind that Dow Theory is not a science and Hamilton points this out numerous times. Dow Theory is meant to offer insights and guidelines from which to begin careful study of the market movements and price action. Looking at the line chart above (DJIA ($INDU) 1998/1999 daily close semi-log scale), it may be difficult to distinguish between a valid change in trend and a simple correction. For instance: Was a change in trend warranted when the December low penetrated the November low (red circle)? After the November peak, a lower high formed in December and the November reaction low was broken. In order to eliminate false signals, Hamilton suggested excluding moves of less than 3%. This was not meant to be a hard and fast rule, but the idea is worth noting. With the increased volatility of today's markets comes the need to smooth the daily fluctuations and avoid false readings. Hamilton and Dow were interested in catching the big moves and would have been apt to use weekly charts to establish reaction highs and lows. However, in today's fast-moving markets, weekly charts may not portray the detail that investors need. One possible solution is to apply a short moving average to the price plot. Although not mentioned by Hamilton and Dow, a 5-day moving average could be applied to smooth the price series and still allow for detail. The DJIA ($INDU) chart below uses a 5-day exponential moving average to smooth the price plot. Notice that the November reaction low now appears quite immaterial. Additionally, the September reaction high (red arrow) is still visible. When Dow Theory was being developed at the turn of the century, the railroads were a vital link in the economy. Hamilton argued that, in many cases, activity would begin in the Rail Average before the Industrial Average. He attributed this to the fact that before economic activity began, raw materials would have to be moved from the suppliers to manufacturers. Before General Motors could increase production, more steel would need to be transported. Therefore, an increase in activity among the rail stocks would foreshadow an increase in business activity for the industrial stocks. There is no doubt that today's economy is very different; consequently, the makeup of the DJTA has changed to favor the airlines. However, there is still some credibility in using the DJTA to confirm movements in the DJIA. Transport stocks are much more dependent on the economic environment than the average stock and will likely foreshadow economic growth. The airline business is cyclical and revenues are highly susceptible to economic changes. Airline companies typically carry above-average levels of debt and will be more vulnerable to changes in interest rates. Energy and Labor costs form a large portion of expenses. To reflect the added risks above, airline stocks have traditionally sold significantly below market multiples. If the P/E ratio for the S&P 500 is 28, the average airline might sell for only 8-10 times earnings. Even though we are possibly entering into a “new economy,” the majority of businesses will be affected in some way by changes in economic activity, interest rates, energy costs and labor costs. Airline companies, bearing the burden of all of the above, are still likely to act as a leading indicator of the general economic environment. However, one caveat must be added as well. Possibly the greatest fear of the airlines is that people will stop flying in airplanes. Business travel accounts for a large portion of airline revenues, especially the high margin revenues. With the development of the Internet and networking, the need for business travel could be greatly reduced in the future. Federal Express has already experienced a slowdown in the quantity of business documents being shipped. This could ultimately spill over into the business of the airlines. Hamilton and Dow stressed that, in order for a primary trend buy or sell signal to be valid, both the Industrial Average and the Rail Average must confirm each other. If one average records a new high or new low, then the other must soon follow for a Dow Theory signal to be considered valid. Combining the guidelines set forth for trend identification with the theorem on confirmation, it is now possible to classify the primary trend of the market. The chart above shows an array of signals that occurred during a 7-month period in 1998. In April, both the DJIA ($INDU) and DJTA ($TRAN) recorded new all-time highs (blue line). The primary trend was already bullish, but this confirmation validated the primary trend as bullish. In July, trouble began to surface when the DJTA failed to confirm the new high set by the DJIA. This served as a warning sign but did not change the trend. Remember, the trend is assumed to be in force until proven otherwise. On July 31, the DJTA recorded a new reaction low. Two days later, the DJIA recorded a new reaction low and confirmed a change in the primary trend from bullish to bearish (red line). After this signal, both averages went on to record new reaction lows. In October, the DJIA formed a higher low while the DJTA recorded a new low. This was another non-confirmation and served notice to be on guard for a possible change in trend. After the higher low, the DJIA followed through with a higher high later that month. This effectively changed the trend for the average from down to up. It was not until early November that the DJTA went on to better its previous reaction high. However, at the same time, the DJIA was also advancing higher and the primary trend had changed from bearish to bullish. The importance of volume was alluded to above with the chart of the Apr-97 bottom in the DJIA. Rhea notes that, while Hamilton did analyze volume statistics, price action was the ultimate determinant. Volume is more important when confirming the strength of advances; in addition, it can be used to help identify potential reversals. Hamilton thought that volume should increase in the direction of the primary trend. In a primary bull market, volume should be heavier on advances than during corrections. Not only should volume decline on corrections, but participation should also decrease. As Hamilton put it, the market should become “dull and narrow” on corrections, with “narrow” meaning that the number of declining issues should not be expanding dramatically. The opposite is true in a primary bear market, where volume should increase on the declines and decrease during the reaction rallies. The reaction rallies should also be narrow, reflecting poor participation of the broader market. By analyzing the reaction rallies and corrections, it is possible to judge the underlying strength of the primary trend. Hamilton noted that high volume levels could be indicative of an impending reversal. A high volume day after a long advance may signal that the trend is about to change or that a reaction high may soon form. In his StockCharts.com commentary on 25-Jun-99, Rex Takasugi discusses the correlation between volume and peaks in the market. Even though his analysis reveals a lag time between volume peaks and market reversals, the relationship still exists. Takasugi's analysis reveals that, since 1900, there have been 14 cycles, with volume peaking an average of 5.6 months ahead of the market. He also notes that the most recent volume peak occurred in Apr-99. In his commentaries over the years, Hamilton referred many times to “lines.” Lines are horizontal lines that form trading ranges. Trading ranges develop when the averages move sideways over a period of time and make it possible to draw horizontal lines connecting the tops and bottoms. These trading ranges indicate either accumulation or distribution, but it was virtually impossible to tell which of the two it was until there was a break to the upside or the downside. If there were a break to the upside, then the trading range would be considered an area of accumulation. If there were a break to the downside, then the trading range would be considered an area of distribution. Hamilton considered the trading range neutral until a breakout occurred. He also warned against attempting to anticipate the breakout. Mark Hulbert, writing in The New York Times (6-Sept-98), notes a study that was published in the Journal of Finance by Stephen Brown of New York University and William Goetzmann and Alok Kumar of Yale. They developed a neural network that incorporated the rules for identifying the primary trend. The Dow Theory system was tested against buy-and-hold for the period from 1929 to Sept-98. When the system identified the primary trend as bullish, a long position was initiated in a hypothetical index fund. When the system signaled a bearish primary trend, stocks were sold and the money was placed in fixed income instruments. By taking money out of stocks after bear signals, the risk (volatility) of the portfolio is significantly reduced. This is a very important aspect of the Dow Theory system and portfolio management. The concept of risk in stocks has diminished over time, but it is still a fact that stocks carry more risk than bonds. Over the 70-year period, the Dow Theory system outperformed a buy-and-hold strategy by about 2% per year. In addition, the portfolio carried significantly less risk. If compared as risk-adjusted returns, the margin of out-performance would increase. Over the past 18 years, the Dow Theory system has underperformed the market by about 2.6% per year. However, when adjusted for risk, the Dow Theory system outperformed buy-and-hold over the past 18 years. Keep in mind that 18 years is not a long time in the history of the market. The Dow Theory system was found to under-perform during bull markets and outperform during bear markets. The first criticism of Dow Theory is that it is really not a theory. Neither Dow nor Hamilton wrote proper academic papers outlining the theory and testing the theorems. The ideas of Dow and Hamilton were put forth through their editorials in The Wall Street Journal. Robert Rhea stitched the theory together by poring over these writings. Secondly, Dow Theory is criticized for being too late. The trend does not change from bearish to bullish until the previous reaction high has been surpassed. Many traders feel that this is simply too late and misses much of the move. Dow and Hamilton sought to catch the meat of the move and enter during the second leg. Even though this is where the bulk of the move will take place, it is also after the first leg and part way into the second leg. Additionally, if one has to wait for confirmation from the other average, it could even be later in the move. Thirdly, because it uses the DJIA and DJTA, Dow Theory is criticized as being outdated and no longer an accurate reflection of the economy. This may be a valid point, but, as outlined earlier, the DJTA is one of the most economically sensitive indices. The stock market has always been seen as a great predictor of economic growth. To at least keep the industrials up to speed, non-industrial stocks such as technology or consumer discretionary stocks have been added over the years. The goal of Dow and Hamilton was to identify the primary trend and catch the big moves. They understood that the market was influenced by emotion and prone to overreaction, both up and down. With this in mind, they concentrated on identification and following: identify the trend and then follow the trend. The trend is in place until proven otherwise. Dow Theory helps investors identify facts, not make assumptions or forecast. It can be dangerous when investors and traders begin to assume. Predicting the market is a difficult, if not impossible, game. Hamilton readily admitted that Dow Theory was not infallible. While Dow Theory may be able to form the foundation for analysis, it is meant as a starting point for investors and traders to develop analysis guidelines that they are comfortable with and understand. Reading the markets is an empirical science. As such there will be exceptions to the theorems put forth by Hamilton and Dow. They believed that success in the markets required serious study and analysis that would be fraught with successes and failures. Success is a great thing, but don't get too smug about it. Failures, while painful, should be looked upon as learning experiences. Technical analysis is an art form and the eye grows keener with practice. Study both successes and failures with an eye to the future.